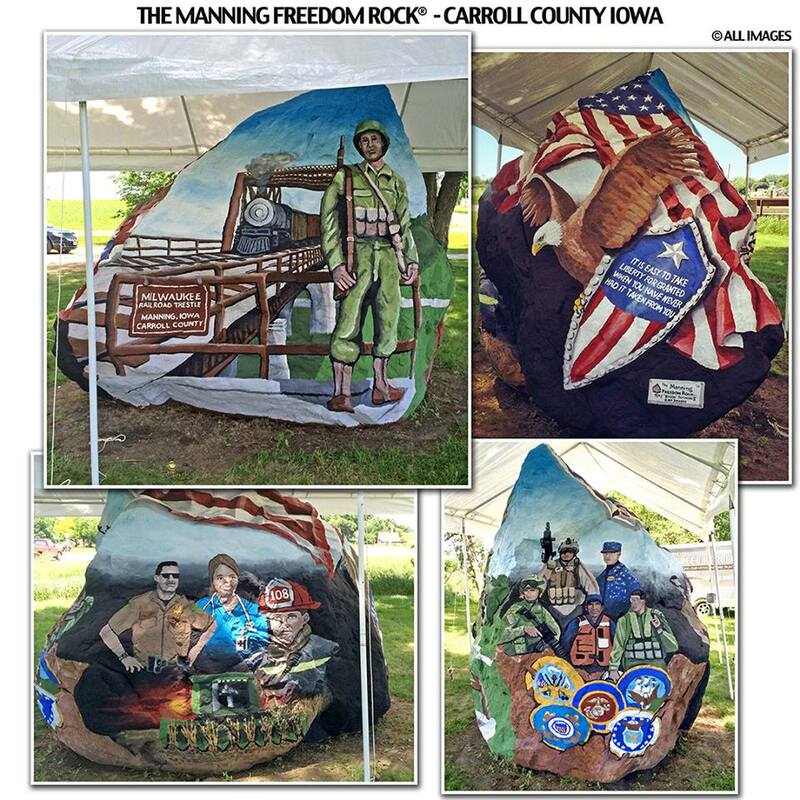 The artist who paints the giant “Freedom Rock” in Adair County every year is slowly making progress on painting smaller, but similar rocks in all 99 of Iowa’s counties. Ray “Bubba” Sorenson started the statewide project in 2012. “I’ve booked 65 of the 99 counties and I just completed the 16th,” Sorenson says. 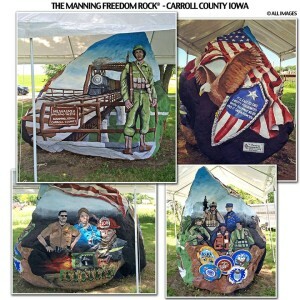 The original 60-ton Freedom Rock, located near Greenfield, was first painted in 1999. It often features American stars and stripes, eagles, and other patriotic murals that are designed to pay tribute to veterans. Sorenson says the boulders he’s painting in other counties are about a quarter to half the size of the original. Committees are formed in each county to help Sorenson decide what he’ll paint on their rock. For example, Sorenson recently completed painting a rock that’s located in Manning in Carroll County and it includes a mural of a train trestle that still operates in Manning. Sorenson charges each county $5,000, plus paint and travel expenses for the work. Painting each rock takes around two weeks. He says the project is currently booked through 2020.